It is said that the best time to plant a tree was 20 years ago, and the second-best time is now! 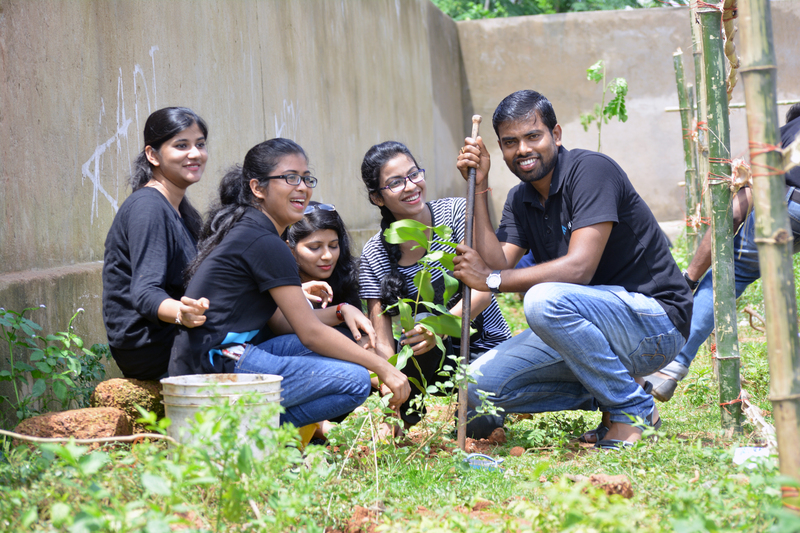 – Muvi Foundation held a massive tree plantation drive on 18th August 2018 in the slums of Sikharchandi Nagar. Around 200+ saplings were planted along side the boundary of a local school in the slum. There were varieties of medicinal plants, fruit-bearing plants and few dense trees which would grow up to provide shade to school children and other dwellers. We engaged with the local community around and with their help and support, we fenced the planted saplings to protect them from grazing herds. The weather was not in our favor as it turned out to be hotter than usual August mornings; however, it didn’t deter us from our plan. Everyone teamed up in three or four and started planting the saplings. The benefits of trees are known to everyone. One large tree can supply a day’s supply of oxygen for four people. One tree produces nearly 260 pounds of oxygen each year. Trees in short are our life support systems. It creates an ecosystem to provide habitat and food for birds and other animals. Trees absorb carbon dioxide and potentially harmful gasses, such as sulfur dioxide, carbon monoxide, from the air and release oxygen. Despite their importance to life as we know it, humans have cut down half of all the trees on the planet so far. Every year we cut down over 50,000 square miles of forest worldwide for paper, agriculture, building materials and fuel. Hence, Muvi Foundation has pledged to conduct such plantation drives annually. Our drive also inspired the school kids, teachers and local people to join hands with us. The school kids were excited and am sure, they would be taking turns to water the saplings every day. Leaving the site with so many new saplings planted made us feel proud and content that taking out just two hours from our day would be result in greater benefits for our future generations!